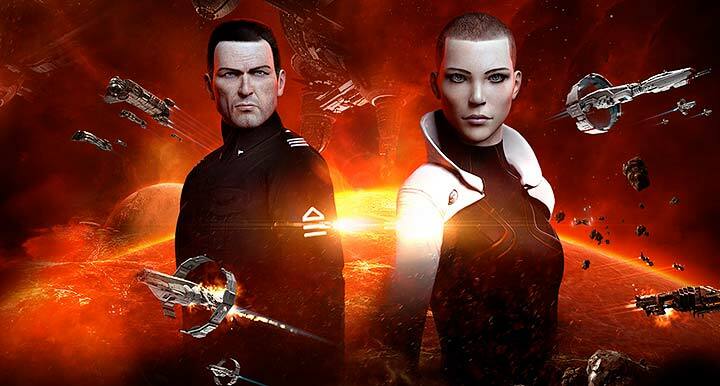 Until November 2, Humble Bundle is offering EVE Online Premium Edition at 50% off – $24.99 USD. Though it’s intended as a starter pack, Humble’s offer has features that may appeal to established players as well. Premium Edition can upgrade an Alpha account via thirty days of Omega time. Value: $14.95 USD purchased outright, or $19.95 USD worth of PLEX (roughly 1.6 billion ISK). This only applies if the Alpha account hasn’t had Omega status before – but still. The bundle includes a Multiple Pilot Training Certificate. Value: roughly 1.5 billion ISK, so another twenty bucks. 650 PLEX. Value: around $26. Once you sort out the PLEX/ISK/USD to your satisfaction, you could wind up with three months of Omega time for twenty-five bucks, which is about as steep a discount as you’ll ever find. Compared to sales on GOG or Steam, Humble Bundle generally offers comparable or better value for money, and all purchases benefit your choice of 20,000 charities. The downside is that Humble’s bundles generally skew toward less visible and popular games and content. While a Humble Bundle is a great way to get a taste of the indie scene or find a diamond in the rough, triple-A titles don’t seem to get as much screen time on Humble as on GOG or Steam. Bottom line, it’s not often I look at Humble and see a game I need to have. This EVE deal might be the exception. It¦s really a cool and helpful piece of info. I am happy that you shared this useful info with us. Please stay us informed like this. Thanks for sharing. Superb post however , I was wondering if you could write a litte more on this topic? I’d be very grateful if you could elaborate a little bit more. Many thanks! I’m impressed, I have to admit. Rarely do I encounter a blog that’s both equally educative and interesting, and without a doubt, you have hit the nail on the head. The issue is something not enough men and women are speaking intelligently about. I am very happy I came across this during my hunt for something relating to this. It¡¦s actually a great and helpful piece of information. I¡¦m satisfied that you simply shared this helpful info with us. Please stay us informed like this. Thanks for sharing. certainly like your web site however you have to check the spelling on quite a few of your posts. A number of them are rife with spelling problems and I find it very bothersome to inform the reality on the other hand I’ll definitely come back again. I do trust all of the ideas you’ve offered on your post. They are really convincing and will definitely work. Still, the posts are too brief for beginners. Could you please extend them a bit from next time? Thanks for the post. Simply wish to say your article is as astonishing. The clarity in your post is simply cool and i can assume you’re an expert on this subject. Well with your permission let me to grab your feed to keep up to date with forthcoming post. Thanks a million and please carry on the enjoyable work. What i don’t understood is in fact how you’re no longer actually a lot more neatly-preferred than you might be right now. You are so intelligent. You recognize therefore significantly in relation to this matter, produced me personally believe it from so many numerous angles. Its like men and women aren’t fascinated except it is one thing to accomplish with Girl gaga! Your own stuffs nice. Always care for it up! Magnificent website. Plenty of helpful information here. I?¦m sending it to a few pals ans additionally sharing in delicious. And naturally, thanks in your effort! hello!,I really like your writing very a lot! share we be in contact more approximately your article on AOL? I require an expert on this area to unravel my problem. May be that is you! Looking ahead to look you. There are thousands of blogs that calls for talk about them. What is the intention of blog comments?. Hello! I know this is kinda off topic however , I’d figured I’d ask. Would you be interested in exchanging links or maybe guest writing a blog article or vice-versa? My blog discusses a lot of the same topics as yours and I think we could greatly benefit from each other. If you might be interested feel free to shoot me an e-mail. I look forward to hearing from you! Wonderful blog by the way!